Now more than ever, consumers are looking for differentiation when choosing their retailers. They expect a higher level of satisfaction—better service, better prices, better quality and convenience. Access to product information and fast, accurate transactions, performed by capable, informed employees are vital to a positive experience and help promote customer loyalty. According to The IBM Institute for Business Value Study (IBM Global Services 2008), A satisfying store experience helps create Advocates… consumers who have increased spending with their primary retailer by 31% over the last two years. The 4852-E66 comes standard with a 15-inch Infrared Touchscreen. 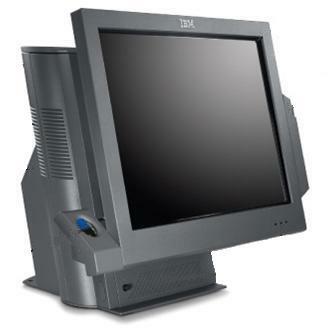 It also features a 2.2Ghz Intel Celeron Dual processor, 1Gb Memory (Max 4 Gb), 160Gb SATA Hard Drive preloaded with Windows Embedded for Point of Sale, and a 1 year IBM On-Site Warranty. Contact Us about Retail Tech special pricing and learn how to receive a 4852-E66 demo for your stores.